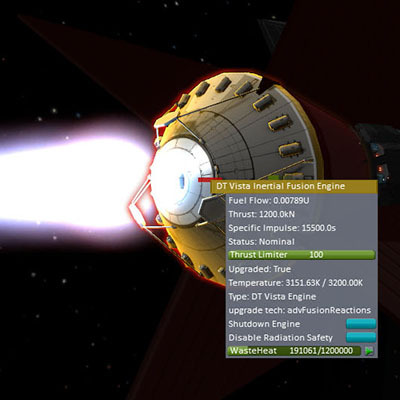 KSP Interstellar Extended is a plugin for Kerbal Space Program, designed to encourage bootstrapping toward ever more advanced levels of technology as well as utilizing In-Situ resources to expand the reach of Kerbal civilization. 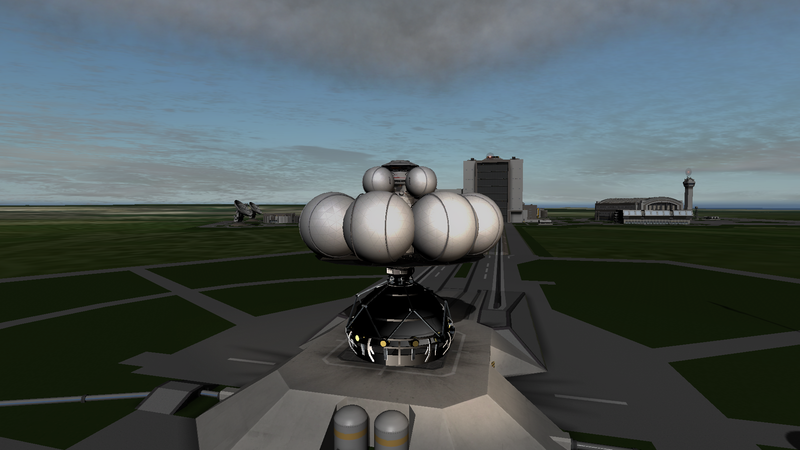 KSP Interstellar Extended aims to continue in Fractals original KSPI vision in providing a realistic road to the stars. Players will first gain access to contemporary technologies that have not been widely applied to real space programs such as nuclear reactors, electrical generators and thermal rockets. By continuing down the CTT tech tree and performing more research, these parts can be upgraded and later surpassed by novel new technologies such as fusion and even antimatter power. The principal goal of KSP Interstellar is to expand Kerbal Space Program with interesting technologies and to provide a logical and compelling technological progression beginning with technologies that could have been available in the 1970s/1980s, then technologies that could be available within the next few years, progressing to technologies that may not be available for many decades, all the way out to speculative technologies that are physically reasonably but may or may not ever be realizable in practice.